Since 2009, the series has showcased some of the hardest and most competitive drivers in 11 categories, all of them running a mix of rally, sprint and drift car with high-performance trophy trucks, buggies and boats. And what would a high-octane race series, populated by large personalities, be without an energy drink? In this arena, that drink is Rockstar. Fans come to these events to watch the racers jockey for position in close quarters, catching air and taking corners sometimes on two wheels. For the past two years, Kyle Leduc has taken top honors in the series, but it’s anybody’s game this time around. The racers converge next May 21 and 22 in Tooele, Utah, and then it’s on to Ensenada, Mexico, June 18 and 19. After that, there will be four more chances for you to catch the action. 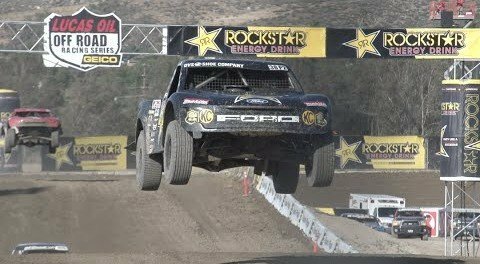 The series comes to San Bernardino June 23 and 14, and then Nevada, back to lake Elsinore, with a finale back in Chandler, Ariz, Oct. 22 and 23. It’s some of the wildest race action you wont want to miss.